Image caption Bha dùil gun dùineadh an t-seann ionad niuclasach ann an 2025. Cha tèid ionad niuclasach Dhùnrath ann an Gallaibh a dhùnadh gu 2029 - seach 2025 mar a bha dùil. Chuir riaghailtean ùra co-cheangailte ri connadh niuclasach agus tèarainteachd barrachd obrach air an fheadhainn a tha a' dùnadh Dhùnrath. 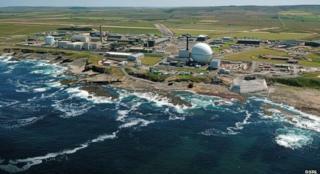 Thuirt Cavendish Dounreay Partnership gun cùm iad an aon àireamh de luchd-obrach, ach gun toir an obair nas fhaide.